Having any of the following problems? For companies abroad, legal affairs, inheritance procedures with home countries and registration procedures are complicated and time-consuming. Don’t struggle by yourself. Consult with a friendly, knowledgeable, experienced expert, Shintaro Ideta. Nagoya Legal Service is available for consultation in regards to inheritance procedures for companies abroad, and for those with foreign nationality. Inheritance procedures involving foreign countries are harder than you can imagine. In such cases, it is best to consult with a specialist who has a lot of experience with inheritance procedures of companies abroad and foreign clients. At our Nagoya Legal office, a well-experienced judicial scrivener Shintaro Ideta will explain each procedure using the flow of the inheritance procedure involving overseas clients, suggest an inheritance method that suits the customer, and help them through it. We will solve your problems with our added assistance from partnering professionals. Nagoya Legal Service is available for consultation in regards to real estate registration for companies abroad, and for those with a foreign nationality. Registering real estate for companies abroad and those from international backgrounds is quite hard. In such cases, it is best to consult with a specialist who has a lot of experience in real estate registration for companies abroad and clients overseas. At our Nagoya Legal Office, a well-experienced judicial scrivener Shintaro Ideta will handle procedures such as change of ownership when buying and selling real estate, giving gifts of assets, and inheritance, registering mortgages and dealing with leasehold rights. We can support you with situations such as "buying and selling of land and buildings of companies abroad", "paying mortgages of foreign nationals", "building new buildings" by partnering with our specialized professionals. Do not hesitate to consult us at any time. It is complicated and time-consuming when companies abroad want to start a company in Japan with complicated documents and procedures. If you forget to attach just one document, you are going to have to redo it, or obtain it from your country of origin, and lose precious time and effort. At our Nagoya Legal office, an experienced judicial scrivener, Shintaro Ideta will support you from starting a company to its assistance from our affiliated lawyers, judicial scrivener, administrative scrivener, tax accountant and social insurance labor specialist. Of course, we can support you not only in Nagoya, but all over Japan. Do not hesitate to consult us at any time. Who is an experienced judicial scrivener, Shintaro Idea at Nagoya Legal Office? 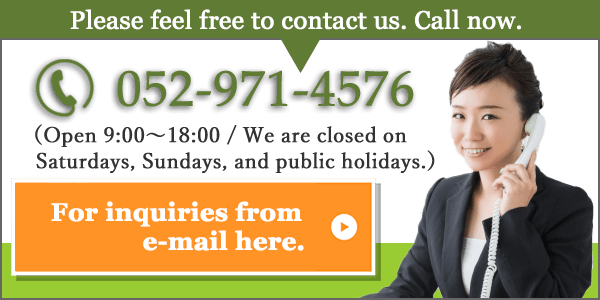 A friendly legal professional who helps foreigners living in Japan by supporting them with the registration of land and houses, inheritance procedures, company registration, preparation of documents to be submitted to the court, litigation proceedings of summary courts and legal counseling regarding civil cases. A highly trusted judicial scrivener with companies abroad who deals with things from big to s small cases regardless of the clients’ origins. Do not hesitate to consult us as we will support you. If you can speak in English, we will give you a brief explanation the required solutions. Multilingual correspondence is available. Explain your problem in a language you feel comfortable with. We will reply within 48 hours with a solution. You can sign a contract upon your full-agreement with us. We can also help solve if you have any problem signing a contract. If we solve your situation by only consultation, or if you are not satisfied with our proposal, you don’t need to sign a contract with us. When signing a contract with us, we will discuss our future schedule and proceed according to the schedule. We will also confirm your agreement once you are satisfied with it. Copyright© Nagoya Legal office , 2019 All Rights Reserved.